Murderesses Velma Kelly and Roxie Hart find themselves on death row together and fight for the fame that will keep them from the gallows in 1920s Chicago. When I heard a film version of the stage production Chicago would come out, I showed no interest. After all, I don’t like musicals. My Dad saw it and told me how terrific it was, but this made little impact. The Old Man and I often disagree on movies, and after all, I don’t like musicals. My friend Kevin watched Chicago and also stated it was excellent. This made more of an impact, for Kevin doesn’t usually care for this sort of flick. However, I resisted his recommendation – after all, I don’t like musicals. Because of this site, I rooted for Chicago to lose at the Oscars. Since we maintain a page devoted to the Academy’s choices for Best Picture, I knew I’d have to watch Chicago if it won, and I didn’t want to do that. After all, I don’t like musicals. But win it did, which saddled me with an inevitable screening. Since after all, I don’t like musicals, did I dislike Chicago? Nope. While it didn’t make me rethink me opinions of the genre, I must say it’s an effective piece of work. The film starts with the arrival of cabaret star Velma Kelly (Catherine Zeta-Jones) at her club. Part of a sister act, sibling Veronica won’t perform tonight because Velma killed her and her husband when she caught them doing the deed. The cops soon take away Velma. In the meantime, we meet aspiring songstress Roxie Hart (Renee Zellweger). Her husband Amos (John C. Reilly) is a dud so she cheats on him with Fred Casely (Dominic West). Fred allegedly has connections at the club and will get her an audition. When Roxie finds out Fred’s not exactly truthful, she murders him. Initially, Amos takes the rap and claims he killed the “burglar”, but when he realizes what actually happened, he spills the beans to Assistant District Attorney Harrison (Colm Feore) and Roxie gets arrested. In prison, Roxie meets Matron Mama Morton (Queen Latifah), the female chief of murderer’s row. She overhears a deal between Mama and Velma to get the latter work when she gets out of prison. Eventually Mama points Roxie toward lawyer Billy Flynn (Richard Gere), a slick attorney who handles Velma’s case and wants $5000 to take on Roxie’s appeal. When the pathetically devoted Amos comes up with enough to attract Flynn’s attention, the lawyer works for Roxie and shapes her story into a myth. From there the movie follows what happens to Roxie and the others as they undergo public scrutiny. Why do I find Chicago to offer a satisfying piece despite my general disdain for musicals? A few factors make this occur, but the film’s basic structure becomes a significant one. Director Rob Marshall integrates the production numbers into the story in a remarkably seamless way. In most musicals, the film comes to an abrupt halt so everyone can sing and dance. Sure, the best musicals use those songs to further the story in some way, but they still almost always feel like an excuse for a tune, and they also often go on way too long. I can’t stomach flicks like Oliver! because the production pieces seem never-ending. That doesn’t occur for Chicago, partly because it avoids the massive “cast of thousands” syndrome. Many musicals toss out enormous numbers that go on for days, but Chicago keeps things simple. I don’t think a single performance ever includes more than a handful of participants, so the focus seems tight and intimate. In addition, the songs know when to call it a day. All of the tracks come and go reasonably quickly, so they don’t overstay their welcome. If more musicals followed that template, I might find them to be less tedious. I also like the concept that the production numbers all reside inside the world of fantasy. This makes the movie seem more realistic since we don’t see people drop everything and dance, but it also melds with the story better. The technique lets us get character insight and development through the songs. Not only do we learn information, but also we get a feel for the different motives and feelings. The songs in Chicago genuinely help further the movie, and that’s rare for a musical. It also helps that Marshall stages the numbers remarkably well. Each one stands out as different from the others, and they pop and sizzle nicely. Of course, a lot of the credit goes to Bob Fosse and those behind the original stage production, but Marshall makes things his own as he creates a lively and involving performance piece. The cast does better work than I expected because I don’t think of any of these folks as likely candidates for a musical. Even Queen Latifah seemed like an odd choice, as her background as a rapper didn’t make me conjure images of her as a singer, especially not in this sort of flick. However, all do quite well with their roles. Zeta-Jones stands out from the pack, mostly because she demonstrates a real force-of-nature charisma. Of course, her character demands that, but Zeta-Jones lives up to her billing and allows the role to shine. If I looked for flaws in Chicago, they’d stem from a pretty simplistic and uncomplicated plot. That’s part of the curse of musicals: they’re usually so concerned with singing and dancing that the story gets neglected. I don’t think that’s totally the case in Chicago, but the tale appears rather basic, and none of the characters ever develop as three-dimensional personalities. Chicago earns its stripes simply as a piece of cynical fun, however, so these complaints don’t really matter. I wouldn’t have called it the Best Picture of 2002, though conversely, I think Marshall probably should have gotten the Best Director award. The movie itself seems too insubstantial to merit Best Picture consideration, but Marshall makes its merits shine and diminishes its problems. After all, I don’t like musicals, but I think Chicago offers a fun and kicky little flick. Chicago appears in an aspect ratio of approximately 1.85:1 on this Blu-ray Disc. Despite challenging imagery, this became a strong presentation. Sharpness always seemed solid, as the film consistently came across as distinct and well defined. I noticed no issues connected to softness or fuzziness. Jagged edges and moiré effects never presented concerns, and edge haloes remained absent. Print flaws also failed to materialize. Hues became a potential problem, largely due to the ample use of colored lighting. The Blu-ray handled these tones with aplomb, though, and left the colors as rich and full without noise or other concerns. Black levels were deep and dense, and low-light situations demonstrated good definition without becoming overly thick. This turned into an impressive presentation. Not surprisingly, music dominated the Dolby TrueHD 7.1 soundfield. The showtunes demonstrated very good breadth and spread across the front channels. Stereo response seemed strong, as the songs filled the speakers nicely. They also popped up appropriately from the rears. The surround channels supported the music naturally and didn’t resort to gimmicky material. Effects played a less active role in the film, but they helped flesh out the story well, as they created a good feeling of atmosphere throughout the flick. Audio quality came across as solid. Speech appeared distinct and natural, and I noticed no issues connected to intelligibility or edginess. Effects seemed tight and accurate. As previously noted, they didn’t play a prominent role in the proceedings, but they remained clear and concise at all times. Music sounded great. The songs and score demonstrated clean highs and a nice dimensionality in general, with warm low-end. This became a positive mix for a musical. 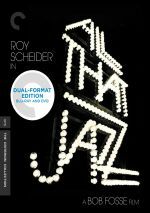 How did the Blu-ray compare to those of the 2006 “Razzle Dazzle” DVD? Audio showed a greater warmth and range, while visuals appeared tighter, clearer and better resolved in all ways. The Blu-ray offered an obvious step-up over the DVD. This package mixes old and new extras, though most of these don’t appear on the Blu-ray itself. The set provides a DVD copy of the film, and it includes most of the bonus materials. Note that the DVD literally duplicates Disc One from the 2006 “Razzle Dazzle” release. On the DVD, we start with an audio commentary. Director Rob Marshall and screenwriter Bill Condon sit together for a running, screen-specific piece. While not a great track, their discussion presents a generally useful examination of the film. Not surprisingly, Marshall dominates the commentary as we learn about many facets of the film. We get notes on the challenges of making a musical these days along with information about changes made from the stage presentation, working with the actors, and general issues related to staging and budget. They also get into deleted scenes and other alterations. At times the pair devolve into simple praise for the participants, but overall they provide a fairly rich and informative chat that helps flesh out our appreciation for the movie. One deleted musical number shows up here: “Class” lasts four minutes, eight seconds. This tune would have come late in the movie during Roxie’s trial, and it shows Velma and Mama Morton together. It seems out of place in the context of the rest of the flick and would have slowed down the action heavily, so it was a good omission. “Class” can be viewed with or without commentary from Marshall and Condon. They let us know about the trials that they encountered as they attempted to make the song work within the context of the film. They also relate why they ultimately left the tune out of the movie. We already learn some of this during the main commentary, but their information here seems helpful. From Stage to Screen: The History of Chicago lasts 27 minutes, 26 seconds. 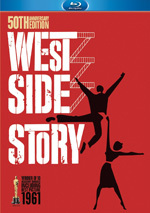 It presents comments from Condon, Marshall, executive producers Neil Meron and Craig Zadan, Bob Fosse biographer Martin Gottfried, stage actors Jerry Orbach, Chita Rivera, and Ann Reinking, composer John Kander, producer Marty Richards, and lyricist Fred Ebb. The piece covers the origins of the stage production as well as elements of its development, original casting, and growth over the years. We get nice insight into what affected the show as well as aspects of its creation and staging. We also learn about Bob Fosse and his issues related to Chicago along with the work of the actors, the music and choreography, and adapting it for the screen. I like aspects of “History” but I think it comes across as too general. I’d prefer something that solely examines the stage production, as we get many other elements here that discuss the movie. We find some nice tidbits, but the show is too quick and superficial to provide a truly satisfying look at its subject. On the Blu-ray, we get a new feature: a documentary called Chicago in the Spotlight. It runs two hours, 22 minutes, 19 seconds and involves Marshall, Meron, Zadan, choreography supervisor John DeLuca, and actors Renee Zellweger, Queen Latifah, Catherine Zeta Jones, Richard Gere, John C. Reilly, and Christine Baranski. “Spotlight” looks at the project’s development and Marshall’s approach to the material, developing the screenplay, characters, cast and performances. It also discusses choreography and performance numbers, rehearsals, Marshall’s work on the set, costumes, cinematography and production design, editing, the Oscars, and reflections on the film. With almost two and a half hours at its disposal, “Spotlight” enjoys the potential to become a great documentary, but it doesn’t quite achieve that level. Some of the concerns stem from the limited roster of participants, as we lack information from key collaborators. We might hear about costumes, camerawork and production design, but we don’t hear from the people who did those jobs, and that’s a negative. “Spotlight” also devotes far too much time to superficial topics. For instance, we get a long segment about the 10th anniversary celebration at the 2013 Oscars – why? Who cares? “Spotlight” uses more space to talk about Zeta-Jones’ Oscar performance than it does with crucial topics like editing and design choices – that’s nuts. None of these decisions make “Spotlight” a bad show, as it still gives us some good insights. Unfortunately, it fills far too much of its extended running time with either praise or superfluous topics. There’s maybe an hour of actual useful content here. The Blu-ray repeats a collection from the DVD: Extended Musical Performances. In this area, we start with “And All That Jazz” (six minutes, seven seconds), “When You’re Good to Mama” (3:33), “Cell Block Tango” (8:02), “We Both Reached For the Gun” (6:37), “Mister Cellophane” (4:00) and “All I Care About” (4:43). Some of these offer curious presentations, as they mix movie clips, rehearsal footage and other behind the scenes bit, and they show all onscreen at the same time via multiple panels. I like the extra footage, but the “Extended Performances” title seems misleading. It implies we’ll get longer versions of the tunes, but really we just find “making of” material for most. A few do appear to present elongated performances, though, and all are interesting to see. Next come three “From Start to Finish” clips. We see “Richard Gere and ‘All I Care About’” (3:30), “Renee Zellweger and ‘Nowadays’” (2:08), and “Catherine Zeta-Jones and ‘And All That Jazz’” (3:03). “About” and “Jazz” mix rehearsals, song recording and filming the final scenes. A few comments appear during “Nowadays”, as it includes remarks from Meron, Zellweger and Marshall, and the rest of it shows Zellweger’s recording session. Zeta-Jones also talks about her taping in “Jazz”. They’re not terribly different than the “Extended Performances”, and I continue to think they’re cool additions. Finally, “Musical Performances” looks at four rehearsals. We get these takes for “I Can’t Do It Alone” (3:46), “Nowadays/Hot Honey Rag” (3:31), “We Both Reached for the Gun” (3:58) and “Cell Block Tango” (3:12). Based on the title, the content should be self-explanatory, as these show the performers as they practice the numbers. Meron, Marshall, Zeta-Jones, music supervisor Maureen Crowe and associate choreographer Denise Faye chat a little about “Tango” as well. A lot more nice footage shows up here. I especially like “Gun” since it shows the entire number straight through with only one camera and no cutting. A cynical but lively and amusing flick, Chicago offers a musical even a dedicated foe of the genre can like. The film diminishes many of the usual flaws and offers a fun and vibrant experience. The Blu-ray presents excellent picture and audio along with a mostly useful set of supplements. 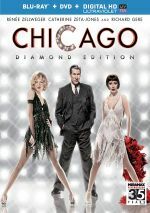 Chicago presents a dynamic musical and a fine Blu-ray.